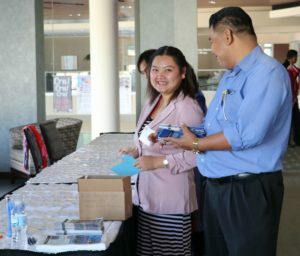 Are you interested in serving refugees from Burma? We would love to have you volunteer at KOM! 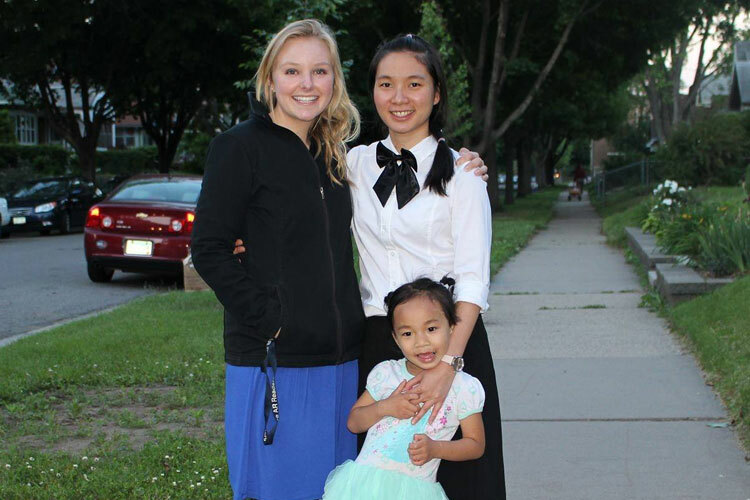 Volunteers give their time to support refugees as they transition to their new life in Minnesota. They are an important part of increasing KOM’s services. Are you interested in becoming a KOM board member? By doing so, you would become an advocate and an ambassador for the organization, informing others about our mission and encouraging others to get involved. KOM’s board meets bi-monthly during the evening and members must be committed to the vision and mission of KOM. We currently have 5 open board positions with 3 year terms (renewable). 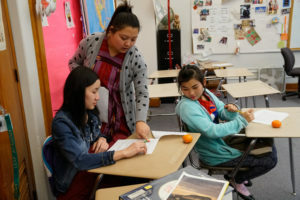 Are you interested in tutoring Karen high school students in Saint Paul Public Schools? KOM is looking for patient, flexible and self-motivated college students or adults who have a passion to tutor high school students with limited English proficiency. Tutors will assist students with homework in KOM’s afterschool programs at Harding High School and/or Humboldt High School on Tuesdays and/or Thursdays from 2-4pm. Are you interested in assisting refugees with social services? KOM is looking for college students or adults bilingual in English and Karen to assist KOM staff with walk-in appointments and other program activities. Human services volunteers assist clients with Ramsey County paperwork, MNsure applications, reading mail, and more. There is also an opportunity to interpret for staff and a Ramsey County worker who do not speak Karen. 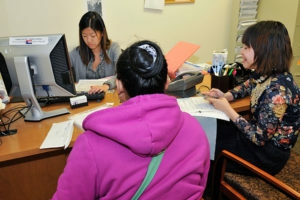 Human services volunteers must be available for at least 2 hours each week and commit to a 3-month volunteer period. Build your communications skills while also helping the community be more involved in the electoral process! 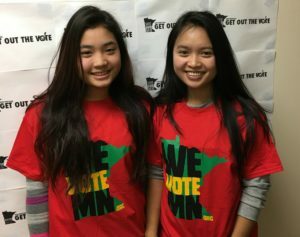 We need volunteers to help our Civic Engagement Coordinator make phone calls and do outreach at events and other public places to make sure everyone who is eligible is registered and pledged to vote in the upcoming November elections. Thank you to all who volunteered at our 10th Anniversary Gala on October 25th! Want to volunteer at future KOM and community events? Contact Suzanne Olive, Volunteer Coordinator, to learn about upcoming program events that need volunteer help. Also, keep your eyes and ears open about Karen New Year, happening in late December/early January! Are you interested in teaching refugee adults English? 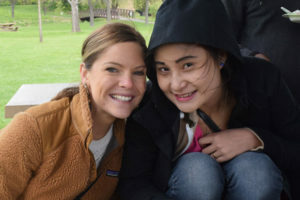 KOM is looking for patient, flexible and self-motivated college students or adults who have a passion to teach English as a second language and other valuable skills to be ESL tutors. Tutors will help the instructor with teaching lessons, small group activities and one-on-one tutoring. Tutors must be able to work with adults with limited English proficiency, and must be available for at least two hours per week during the daytime (Monday-Friday, 9:30am-11:30am or Monday-Thursday, 12:00-2:00pm). 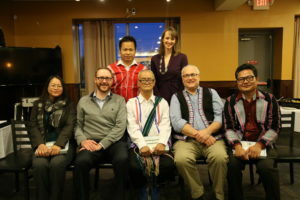 Are you interested in providing friendship, support and guidance to Karen youth? KOM is looking for friendly, fun, responsible college students or adults who are knowledgeable of the community and able to provide guidance to be youth mentors for Karen students in the St. Paul school district. Youth mentors will be matched with students to offer friendship, support with navigating a new culture, and homework help. Youth mentors will commit to a 8-month mentorship period beginning in October 2017. Are you bilingual in Karen and English languages? KOM is looking for an interpreter to assist our Ramsey County Financial Worker on Tuesday afternoons from 1:00-4:00pm at KOM’s office. The interpreter will interpret for walk-in clients and learn about Ramsey County public assistance programs. Fluency in Sgaw Karen and English required; fluency in Karenni, Pwo Karen, Burmese or Thai a plus. 3-month minimum commitment. Would you like to share your knowledge of the bus system with refugee adults? KOM is looking for college students or adults who are knowledgeable of the Twin Cities public transit system to be bus buddies for clients enrolled in KOM’s programs. Bus buddies will be paired with clients to teach them how to ride the bus to places they go regularly. Bus buddies are scheduled on-call, as needed by the client, 1-2 weeks in advance.